His ripped physique and lean size are a paragon for many young bodybuilders. Jakub M., the new model on CzechYoungMuscle, is a 19 year old student from the northern part of the Czech Republic, who started working out three years ago, and passionately says: "Bodybuilding is my life". At the moment he spends exceptionally much time in the gym, as he prepares for his first bodybuilding contest. Jakub´s biggest dream is to become a pro bodybuilder. You find many high quality photos and videos of Jakub M. here on CzechYoungMuscle. 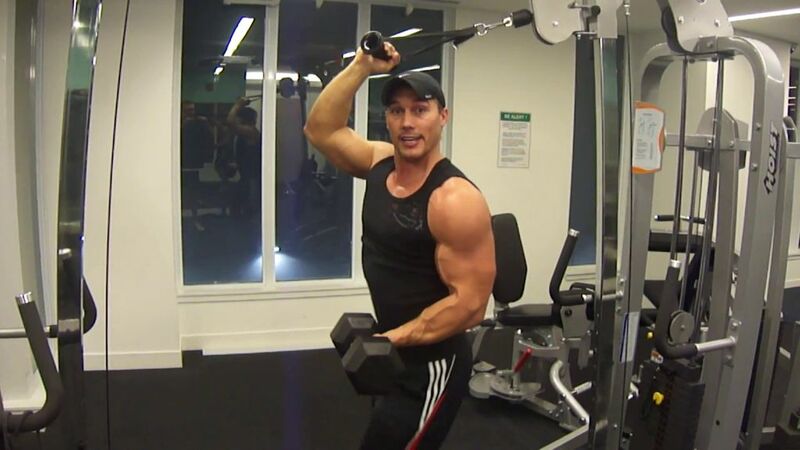 Huge arms are made up not only of big biceps but also of big triceps. Why not working them at a time? 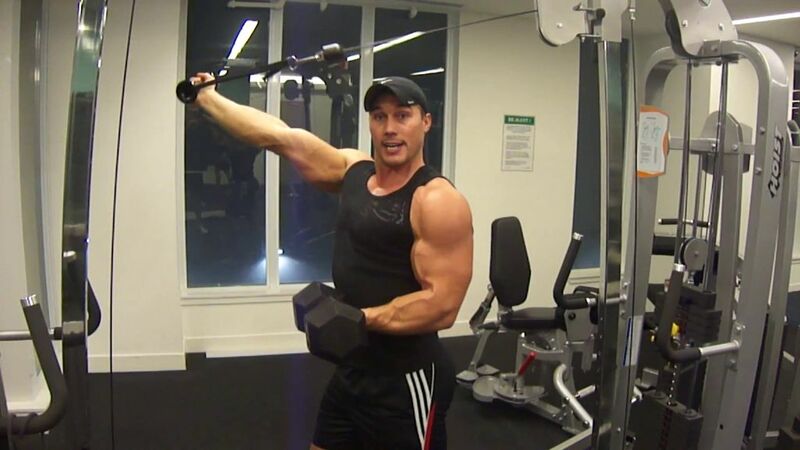 In this video fitness model and personal trainer Tyler Sarry demonstrates a special "bicep tricep combo exercise", and explains how to perform it effectively. His massive arms are most striking. 17 inches - amazingly huge for a 19-year-old bodybuilder, and they look even bigger. But David P. has built not only imposing arms, his whole physique is heavily muscled and well-defined: strong shoulders, wide back, stone-hard abs. 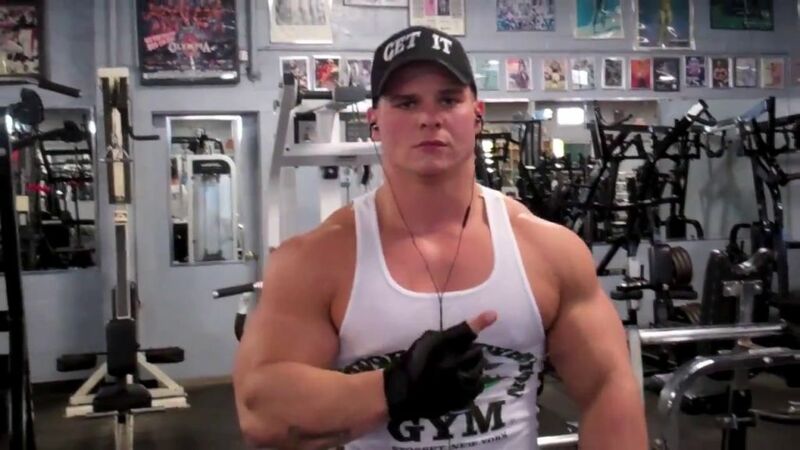 On CzechYoungMuscle numerous new high quality galleries and videos have been published which document the competitive bodybuilder's comprehensive workout and show him posing and flexing. You find them here on CYM. Hard to say what's more admirable: his lean, ripped physique, or his modest, smart personality. In this video 'Mister International' and top sports model Ryan Terry explains how he came by the body which won him a world title and a major sponsorship. 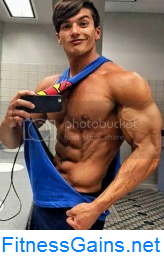 Although he started out as a bodybuilder, he found he looked and felt better by going for the more athletic, aesthetic and commercial look of a fitness model. This was the key to his success which won him the title of Mister International in 2010, and made him the poster boy for a major sports nutrition brand. Moreover Ryan details his training, nutrition and diet, and demonstrates his workout. "These exercises are mad painful", Matt warns. Perhaps mad painful, but surely very effective. IFBB Pro Matt Acton, imposingly ripped, and NPC competitor Chris Mahoney, massively muscled, demonstrate a big number of finishers for an arm workout with a bonus drop set. "Get it", is written on their caps. Both have got the way to strong, sculpted arms. A young, massive bodybuilder reveals the secret of his size. In this video Michael J. Kowalski, who is a 25-year-old personal trainer from London, introduces himself, explains his training in detail, and demonstrates his chest and back routine performing Giant Sets for building mass. Giant Sets consist of heavy weights, low reps, and no rest, are repeated three to four times per session, and create a compact, intense and effective workout.